Veterinary pharmacology and therapeutics, with special interest in transdermal drug delivery, pulmonary therapeutics and the control of inflammation. An additional interest includes wildlife ecology and therapeutics. Paul Mills graduated from UQ School of Veterinary Science in 1987 and, after a period in clinical practice, completed a PhD investigating pharmacological control of inflammation in racing animals. He undertook a 3 year postdoctoral position at The Animal health Trust in the United Kingdom and established the Oxidative Stress research group. He was also the team veterinarian on a study of heat and humidity in horses towards the Atlanta Olympic Games. He returned to Australia and undertook positions as a NHMRC Senior Research Officer at the Princess Alexandria Hospital and as a Senior Government Veterinary Officer with Racing Queensland. A/Prof Mills re-joined the School of Veterinary Science in 2001 and established the Pharmacology Research Unit to focus research into veterinary pharmacology. He was also a co-founder of Veterinary Marine Animal Research, Teaching and Investigation (Vet-MARTI; http://www.uq.edu.au/vetschool/vet-marti) in 2008. He has attracted over $2 million in research funding during this time and is the author on more than 100 peer-reviewed scientific publications. A/Prof Mills is a member (by examination) of the Australian College of Veterinary Scientists for Veterinary Pharmacology and an external reviewer for the Australian Pesticides and Veterinary Medicines Authority. He currently teaches veterinary pharmacology and anatomy, receiving UQ and ALTC awards and funding for teaching innovations. 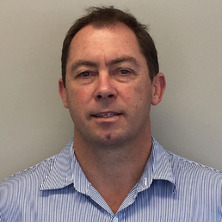 Researcher: Dr Paul Mills Collaborator: Professor Brian Hills (Mater Hospital) Synopsis: Surfactants have been shown to contribute to lubrication and normal function in human joint fluid. We have detected surfactant in equine tendon sheath fluid and synovial fluid. Degradation of surfactant may contribute to the aetiogenesis of joint and tendon disease while replacing surfactant may enhance recovery from injury. The role of surfactant in the lung has been long understood, but we are now also investigating the effects of pulmonary diseases on surfactant in parallel with current human research. Professor Hills has recently demonstrated that asthma in humans is related to degradation of surfactant and exposure of receptors lining the airways. This research may lead to novel therapeutic options for veterinary pulmonary diseases. Publications: Mills P.C., Hills Y.C. and Hills B.A. (2004) Surface-active Phospholipid (surfactant) in equine tendon and tendon sheath fluid). New Z Vet.J. (in press). Hills BA, Chen Y, Hills YC. (2003) Adsorption of surfactant to bronchial epithelium: possible role of receptor 'unmasking' in asthma. J Asthma. 40(4):445-50. Chang AB, Gibson PG, Masters IB, Dash P, Hills BA. (2003) The relationship between inflammation and dipalmitoyl phosphatidycholine in induced sputum of children with asthma. J Asthma. 40(1):63-70. Hills, B.A. Surface-active phospholipid: A Pandora's box of clinical applications. Part II. Barrier and Lubricating properties. Intern Med J 2002 May-Jun;32(5-6):242-51. Purbach B, Hills BA, Wroblewski BM. Surface-active phospholipid in total hip arthroplasty. Clin Orthop 2002 Mar;(396):115-8. Hills BA. Identity of the joint lubricant. J Rheumatol 2002 Jan;29(1):200-1. Vecchio P, Thomas R, Hills BA. Surfactant treatment for osteoarthritis. Rheumatology (Oxford) 1999 Oct;38(10):1020-1. Hills BA, Monds MK. Deficiency of lubricating surfactant lining the articular surfaces of replaced hips and knees. Br J Rheumatol 1998 Feb;37(2):143-7. Researcher: Dr Paul Mills Collaborators: Dr Sheree Cross, Therapeutic Research Unit, Princess Alexandra Hospital. Synopsis: Application of drugs to the skin for local (e.g. flea control) or systemic (e.g. fentanyl patches) is graining increasing popularity in veterinary medicine, in line with the research in human skin. The advantages of applying drugs to skin are an avoidance of hepatic "first-pass" effect, ease of administration (increasing owner compliance) and reversibility. A successful collaboration has been formed with the Therapeutics Research Unit, an internationally-acknowledged centre of human transdermal research. The research aims to clarify some of the issues regarding transdermal drug penetration in animals, including regional differences (does the site of application matter? ), adaptation of human drugs and vehicles and the influences of skin damage or disease on drug kinetics. Publications: Mills P.C., Magnusson B.M. and Cross S.E. (2004) Regional differences in transdermal penetration of fentanyl from a commercially available patch (Durogesic�). J.A.V.M.A. (in press) Mills P.C., Magnusson B.M. and Cross S.E. (2004) The effects of vehicle and region of application on absorption of hydrocortisone through canine skin. Am.J.Vet.Res. (in press) Mills P.C., Magnusson B.M. and Cross S.E. (2004) Conclusive evidence of local direct deep tissue and synovial fluid penetration of a topically applied NSAID. J Rheumatol. (submitted) Mills P.C., Magnusson B.M. and Cross S.E. (2004) The effect of region of application on absorption through canine skin. Res.Vet.Sci. 76,37-41. Mills P.C., Magnusson B.M. and Cross S.E. (2003) The effect of solute lipophilicity on penetration through canine skin. Aust.Vet.J. 81(12), 752-755. Mills P.C., Magnusson B.M. and Cross S.E. (2003) The effect of solute lipophilicity on penetration through feline skin. J.Vet.Pharmacol.Therap. 26(4), 311-314. Mills P.C., Ng J.C., Seawright A.A. and Auer D.E. (1995) Kinetics, dose dependence, tachyphylaxis and cross-tachyphylaxis induced by endotoxin, zymosan-activated plasma and platelet activating factor in the horse. J.Vet.Pharmacol.Therap. 18 (3), 204-209. Mills P.C., Ng J.C., Seawright A.A. and Auer D.E. (1994) Kinetics of endotoxin, complement and platelet activating factor induced vascular permeability in greyhounds. J.Vet.Pharmacol.Therap. 17, 470-472. Mills P.C., Ng J.C., Seawright A.A. and Auer D.E. (1993) Vascular leakage induced by histamine, bradykinin, serotonin and prostaglandin E2 in greyhounds. Aust.Vet.J. 70(1), 21-24. Researcher: Dr Paul Mills Collaborator: Animal Health Trust, Newmarket, United Kingdom. Synopsis: Horses are a supreme athlete and have a pulmonary capacity that far exceeds humans. However, a combination of high pulmonary vascular pressures and weakened pulmonary capillary basement membranes predisposes to stress failure during strenuous exercise, commonly known as exercise-induced pulmonary haemorrhage (EIPH) or "bleeding". The investigations to date have focused on mechanisms regulating pulmonary vascular pressure (particularly nitric oxide) and free radical damage to basement membranes (oxidative stress). Publications: Mills P.C., Marlin D.J., Scott C.M., Smith N.C. (1999) Metabolic effects of NO synthase inhibition during exercise in the horse. Res.Vet.Sci. 66 (2), 135-138. Mills P.C., Auer D.E., Kramer H., Barry D. and Ng J.C. (1998) Effect of inflammation on indices of hepatic and renal function in the horse. Aust.Vet.J. 76 (3), 187-194. Mills P.C., Roberts C.A., Smith N.C. and Lekeux P. (1997) Oxidant stress and endothelin during exercise in the horse. Am.J.Resp.Crit.Care.Med. 154 (4), A862. Mills P.C. and Higgins A.J. (1997) Oxidant injury, nitric oxide and pulmonary vascular function: implications for the exercising horse. Vet.J. (formerly Br.Vet.J.) 153, 125-148. Mills P.C., Smith N.C., Harris R.C. and Harris P. (1997) Effect of allopurinol on indices of oxidative stress during intense exercise in the horse. Res.Vet.Sci. 62, 11-16. Mills P.C., Roberts C.A. and Smith N.C. (1997) Oxidant stress in the equine lung: response to oral prednisolone. Vet.Rec. 141 (20), 518-519. Mills P.C., Ng, J.C., Kramer H. and Auer D.E. (1997) Stress response to chronic inflammation in the horse. Equine Vet.J. 29 (6), 483-486. Mills P.C., Smith N.C., Casas I., Harris P., Harris R.C. and Marlin D.J. (1996) Effects of exercise intensity and environmental stress on indices of oxidative stress and iron homeostasis during exercise in the horse. Eur.J.Appl.Physiol. 74, 60-66. Mills P.C., Marlin D.J., Demoncheaux E., Scott C.M., Casas I., Smith N.C. and Higenbottam T (1996) Nitric oxide and exercise in the horse. J.Physiol. 495 (3), 863-874. Mills P.C., Marlin D.J. and Scott C.M. (1996) Pulmonary artery pressure during exercise in the horse after inhibition of nitric oxide synthase. Br.Vet.J. 152, 1-4. Mills P.C., Marlin D.J., Demoncheaux E. and Higenbottam T. (1996) Airway nitric oxide (NO) production: The effects of exercise and nebulised methoxamine in horses. Am.J.Resp.Crit.Care.Med. 153 (4), A796. Mills P.C., Roberts C.A. and Smith N.C. (1996) Effects of ozone and airway inflammation on glutathione status and iron homeostasis in the lungs of horses. Am.J.Vet.Res. 57, 1359-1363. Mills P.C., Marlin D.J., Scott C.M. and Smith N.C. (1996) Nitric oxide during exercise and pulmonary disease in the horse. Pferdeheilkunde, 12, 551-556. Mills P.C. and Marlin D.J. (1996) Plasma iron in elite horses at rest and after transport. Vet.Rec. 139 (9), 215-217. Researcher: Dr Paul Mills Collaborator: Animal Health Trust, Newmarket, United Kingdom. Synopsis: Equine thermoregulation is essential during all forms of competition and may easily affect performance if mechanisms regulating body temperature and hydration are malfunctioning. A large multi-centre study was commissioned by the FEI towards understanding the effects on heat and humidity on equine performance towards the Atlanta Olympic Games. Some of the results from this study demonstrated a potential link between nitric oxide and sweating in the horse, which may be related to the condition of anhidrosis. Publications: Marlin D.J., Schroter R.C., S.L. White, Maykuth P., Mathesen G., Mills P.C., Waran N. and Harris P. (2001). Recovery from transport and acclimatisation of competition horses in a hot humid environment. Equine Vet.J. 33 (4), 371-379. Mills P.C., Marlin D.J., Scott C.M., Smith N.C. (1999). Metabolic effects of NO synthase inhibition during exercise in the horse. Res.Vet.Sci. 66 (2), 135-138. Marlin D.J., Scott C.M., Schroter R.C., Harris R.C., Harris P.A., Roberts C.A. and Mills P.C. (1999). Physiological responses of horses to a treadmill simulated speed and endurance test in high heat and humidity before and after humid heat acclimation. Equine Vet.J. 31 (1), 31-42. Marlin D.J., Scott C.M., Mills P.C., Louwes H. And Vaarten J. (1998). Rehydration following exercise: effects of administration of water versus an isotonic oral rehydration solution (ORS). Vet.J. 156, 41-49. Marlin D.J., Scott C.M., Mills P.C., Louwes H. And Vaarten J. (1998). Effects of administration of water versus an isotonic oral rehydration solution (ORS) at rest and changes during exercise and recovery. Vet.J. 155, 69-78. Mills P.C., Marlin D.J., Scott C.M., Smith N.C. (1997). Nitric oxide and thermoregulation during exercise in the horse. J.Appl.Physiol. 82 (4), 1035-1039. Mills P.C., Marlin D.J., Scott C.M., Smith N.C. (1997). Effects of nitric oxide inhibition on thermoregulation during exercise in the horse. Ann.N.Y.Acad.Sci. 813, 591-599. Marlin D.J., Scott C.M., Schroter R.C, Mills P.C, Roberts C.A., Harris R.C. and Harris P.A. (1996). Acclimation of horses to high temperature and humidity. Equine Athlete, 9(4), 1-11. Marlin DJ., Scott CM., Schroter RC., Mills PC., Harris RC., Harris PA., Orme CE., Roberts CA., Marr C., Dyson S. and Barrelet F. (1996). Physiological responses in non heat-acclimated horses performing treadmill exercise in cool (20oC/40%RH), hot/dry (30oC/40%RH) or hot/humid (30oC/80%RH) conditions. Equine Vet J Suppl 22, 70-84. Harris P.A., Marlin D.J., Mills P.C., Roberts C.A., Scott C.M., Harris R.C., Orme C.E., Schroter R.C., Marr C.E. and Barrelet F. (1995). Clinical observations made in non-heat acclimated horses performing treadmill exercise in cool (20oC/40%RH), hot/dry (30oC/40%RH) or hot/humid (30oC/80%RH) conditions. Equine Vet J. 27 (suppl. 20), 78-84. Harris P.A., Marlin D.J., Scott C.M., Harris R.C., Mills P.C., Michell A.R., Orme C.E., Roberts C.A.,Schroter R.C., Marr C.E. and Barrelet F. (1995). Electrolyte and total protein changes in non-heat acclimated horses performing treadmill exercise in cool (20oC/40%RH), hot/dry (30oC/40%RH) or hot/humid (30oC/80%RH) conditions. Equine Vet J. 27 (suppl. 20), 85-96. Researcher: Dr Paul Mills Collaborator: Dr Peter Woodall and Faculty of Veterinary Science, University of Sydney. Synopsis: Successful learning in students can be enhanced by innovative teaching practices that are aligned with student learning objectives. We are researching teaching to veterinary science students to enhance their deep (long term) learning and promote life skills (communication, problem solving and interaction) towards professional practice. A successful collaboration has been formed with the Faculty of Veterinary Science at the University of Sydney to benchmark teaching practices and mutually enhance teaching. Publications: Mills P.C. and Woodall P.F. (2004). A comparison of the responses of first and second year veterinary science students to group project work. Teach.High.Ed. (in press) Mills P.C. (2003). Group work in undergraduate veterinary science students. Assess. Eval.Higher Ed. 28 (5), 527-538. Worrall, S., Simmons, G., Mills, P., Rainger, J., Keates, H., Plan, M. and Nixon, P. F. (2018). ALCOHOL, IN VIVO, CHANGES CSF CHEMISTRY TO INCREASE NEUROACTIVE AMINO ACIDS. In: 19th World Congress of International-Society-for-Biomedical-Research-on-Alcoholism (ISBRA), Kyoto Japan, (23A-23A). Sep 09-13, 2018. Identifying the biomarkers of pain and inflammation in cattle using advanced proteomics techniques. Giorgi, M., Mills, P. C., Tayari, H., Rota, S., Breghi, G. and Briganti, A. (2013) Plasma concentrations of Tapentadol and clinical evaluations of a combination of Tapentadol plus Sevoflurane for surgical anaesthesia and analgesia in rabbits (Oryctolagus cuniculus) undergoing orchiectomy. Israel Journal of Veterinary Medicine, 68 3: 141-148. Schull, D., Meehan, M., Coleman, G. and Mills, P. (2011) Student evaluation of a professional studies lecture series delivered to final year veterinary undergraduates. Australian Veterinary Practitioner, 41 2: 61-65. Ahlstrom, L.A., Cross, S.E. and Mills, P.C. (2011) A comparison of the transcutaneous kinetics of six commercial formulations of hydrocortisone. Australian Veterinary Practitioner, 41 1: 24-28. Corneal Fibropapillomatosis in Green Sea Turtles (Chelonia mydas) in Australia. Mills, PC and Cross, SE (2006) The effects of equine skin preparation on transdermal drug penetration in vitro. Canadian Journal of Veterinary Research-revue Canadienne De Recherche Veterinaire, 70 4: 317-320. Symonds, EP, Wilson, GJ and Mills, PC (2005) Deciduous dentition of a Californian sea lion pup (Zalophus californianus). Australian Veterinary Practitioner, 35 4: 122-124. Mills, PC (2003) Use of a thermodilution catheter to measure core body temperature, central venous pressure and cardiac output during anaesthesia and surgery in the dog. Australian Veterinary Practitioner, 33 3: 107-+. Mills, P. and Sykes, B. (2018). Omeprazole and equine gastric ulceration: novel approaches. In: 14th International Congress Of The European Association For Veterinary Pharmacology And Toxicology , Wroclaw Poland, (76-76). 24‐27 June 2018. Chemonges, Saul, Gupta, Rajesh, Mills, Paul, Kopp, Steven and Sadowski, Pawel (2017). Development of a novel encyclopaedic peptide spectral library using the liquid fraction of sheep blood. In: 22nd Annual Lorne Proteomics Symposium, Lorne, Victoria, Australia, (). 2-5 February 2017. Pasay, Cielo, Mills, Paul, Dekkers, Milou, Stewart, Romal, Hugo, Leon, Ong, Oselyne, Wu, Chen, Devine, Greg and McCarthy, James (2017). Investigating the activity of the macrocyclic lactones ivermectin and moxidectin against malaria vectors. In: 66th Annual Meeting of the American-Society-of-Tropical-Medicine-and-Hygiene (ASTMH), Baltimore, MA United States, (607-607). 5-9 November 2017. Chemonges, Saul, Gupta, Rajesh, Mills, Paul, Kopp, Steven and Sadowski, Pawel (2016). Development of a novel encyclopaedic peptide spectral library using the liquid fraction of sheep blood. In: Queensland Mass Spectrometry Symposium, Brisbane, Australia, (). 15-16 August 2016. Chemonges, Saul, Gupta, Rajesh, Mills, Paul, Kopp, Steven and Sadowski, Pawel (2016). SWATH enabled distinction of ‘proteophenotype’ in a sheep model of intensive care. In: Queensland Mass Spectrometry Symposium, Brisbane, Australia, (). 15-16 August 2016. Ajayi, I., Mills, P., Bellingham, M., Silburn, P. and Subramanian, H. (2015). Hippocampal influence on the respiratory and cardiovascular system. In: Journal of Neurochemistry. 25th Biennial Meeting of the International-Society-for-Neurochemistry Jointly with the 13th Meeting of the Asian-Pacific-Society-for-Neurochemistry in Conjunction with the 35th Meeting of the Australasian-Neuroscience-Society, Cairns Australia, (378-378). Aug 23-27, 2015. Chemoges, Saul, Mills, Paul, Kopp, Steven and Sadowski, Pawel (2015). Towards a comprehensive targeted proteogenomic assay repository for the liquid fraction of sheep blood. In: 25th Conference of the ANZSMS and the 6th Conference of the Asia and Oceania Society for Mass Spectrometry Conference (AOMSC), Brisbane, QLD, Australia, (). 19-22 July 2015. Chemonges, Saul, Mills, Paul, Kopp, Steven and Sadowski, Pawel (2014). Sheep proteogenomics: advancing veterinary clinical pathology and diagnostics. In: B3 2014 Symposium, Brisbane, QLD, Australia, (). 24-25 November 2014. Schull, Daniel, King, Eva, Mathew, Susan, Fawcett, Anne, Mills, Jennifer, Bell, Melinda, Mcarthur, Michelle, Tudor, Elizabeth, Scholz, Emma, Harrison, Ryl and Gordon, Stuart (2013). Shared challenges: an update on clinical communications training at Australasian veterinary schools. In: ICCVM 2013: 7th International Conference on Communications in Veterinary Medicine, St Louis, MI, USA, (). 2-6 November, 2013. Thompson, M. F., Gibson, J. S., Mills, P. C., Schembri, M. A., Platell, J. l. and Trott, D. J. (2012). Asymptomatic bacteriuria Escherichia coli strain 83972 in competition with emerging, highly virulent multi-drug resistant Escherichia coli strains in canine urine. In: Australian and New Zealand College of Veterinary Scientists Science Week, Gold Coast, Australia, (). 28-30 June 2012. Thompson, M.F., Mills, P.C., Schembri, M.A. and Trott, D.J. (2011). A modified three-dose inoculation protocol for colonisation of the canine urinary tract with the asymptomatic bacteriuria Escherichia coli strain 83972. In: Australian College of Veterinary Scientists - Science Week 2011, Gold Coast, QLD, Australia, (). 30 June- 2 July. Thompson, M. F., Mills, P. C., Schembri, M. A. and Trott, D. J. (2011). A modified three-dose inoculation protocol for colonisation of the canine urinary tract with the asymptomatic bacteriuria Escherichia coli strain 83972. In: Proceedings of the Australian College of Veterinary Scientists College Science Week. Australian College of Veterinary Scientists College Science Week, Gold Coast, QLD, Australia, (). 30 June- 2 July 2011. Flint, M., Blair, D., Patterson-Kane, J. C. and Mills, P. C. (2010). Blood flukes (Spirorchiidae) as a major cause of marine turtle mortality in Queensland. In: ICOPA XII: 12th International Congress of Parasitology. ICOPA XII: 12th International Congress of Parasitology, Mellbourne, VIC, Australia, (57-62). 15-20 August 2010. Patterson-Kane, J.C., Flint, M., Mills, P.C. and Limpus, C.J. (2009). A retrospective study of histological lesions in stranded sea turtles in the Gold Coast region, Queensland. In: Proceedings of the 29th International Sea Turtle Symposium. 29th Symposium on Sea Turtle Biology & Conservation, Brisbane, Australia, (). 17-19 February 2009. Thompson, Mary f., Seton, Erica J., Schembri, Mark A., Mills, Paul C. and Trott, Darren J. (2009). A single bladder inoculation with asymptomatic bacteriuria (ABU) strain Escherichia coli 83972 does not achieve persistent bacteriuria in normal dogs. In: Science Week Proceedings: Small Animal Medicine Research Abstracts. Australian and New Zealand College of Veterinary Scientists Science Week, Surfers Paradise, Gold Coast, Australia, (). 2-4 July 2009. Mills, P. C. and Wilson, W. J. (2009). Auditory brainstem responses: How to assess hearing in horses. In: John Chopin, Equine Chapter Conference Program and Proceedings. Australian College of Veterinary Scientists. College Science Week Conference, Surfers Paradise, Australia, (). 2-4 July 2009. How do male and female senior veterinary students describe their veterinary role models? Dan Schull, Greg Kyle, Glen Coleman and Paul Mills (2009). How do male and female senior veterinary students describe their veterinary role models?. In: Australian Veterinary Education Symposium 'Preparing for Practice', University of Queensland St Lucia Campus, (24-24). 3-7 July 2009. Schull, D., Morton, J., Coleman, G. and Mills, P.C. (2009). Student versus employer perceptions of the importance of interpersonal skills, professional knowledge and personal attributes required of new veterinary graduates. In: Australasian Veterinary Education Symposium, Brisbane, Australia, (). 5-7 July 2009. Use of a self-assessment checklist to determine the impact of final year clinical rotations on veterinary science student perceptions of "day one competence"
Schull, Dan, Morton, John, Coleman, Glen and Mills, Paul (2009). Use of a self-assessment checklist to determine the impact of final year clinical rotations on veterinary science student perceptions of "day one competence". In: Australasian Veterinary Education Symposium, Brisbane, Australia, (31-31). 5-7 July 2009. Flint, Mark, Morton, J. M., Patterson-Kane, Janet, Limpus, Colin, Murray, Peter J. and Mills, Paul C. (2009). Using plasma biochemistry and haematolgical blood reference ranges as a tool in diagnosing disease for green turtles (Chelonia mydas) in Queensland Australia. In: 29th Symposium on Sea Turtle Biology and Conservation, Brisbane, Australia, (). 17-19 February 2009. Flint, M., Morton, J., Patterson-Kane, J.C., Limpus, C.J, Murray, P.J. and Mills P.C. (2009). Using plasma biochemistry and haematological blood reference ranges as a tool in diagnosing disease for green turtles (Chelonia mydas) in Queensland Australia. In: Proceedings of the 29th International Sea Turtle Symposium. 29th Symposium on Sea Turtle Biology and Conservation, Brisbane, Australia, (). 17-19th February 2009. Mills, P.C. (2008). Alpha-2 and microdosing. In: Australian College of Veterinary Scientists Science Week 2008, Gold Coast, Qld, Australia, (). 1-3 July, 2008. Mills P.C. (2007). General pharmacological alterations in sick animals. In: Proceedings of the 32nd World Small Animal Veterinary Congress WSAVA. WSAVA Congress News 2007, Sydney, Australia, (). 19-23 August, 2007. Mills, P.C. (2007). General pharmacological alterations in sick animals. In: Australian College of veterinary Scientists Science Week 2007, Gold Coast, Australia, (). 2007. Mills P.C. (2007). Topical therapy: practical tips for the veterinarian. In: Proceedings of the 32nd World Small Animal Veterinary Congress WSAVA. WSAVA Congress News 2007, Sydney, Australia, (). 19-23 August, 2007. Mills, P.C. and Taylor, R. (2006). Benchmarking across boundaries of teaching and learning - a model. In: Effective Teaching and Learning Conference 2005, The University of Queensland, (25-25). 3-4 November, 2005. Mills P.C. (2006). Enhancing learning (and integration) in Veterinary Science Students using group projects. In: Australian Veterinary Association conference, Hobart, Tas, Australia, (). 21-26 May, 2006. Symonds, E. P., Bird, S., Hines, H. B., Mills, P. C., Morton, J. M. and Trott, D. J. (2006). Epidemiology of Batrachochytrium dendrobatidis in frog populations in South East Queensland, Australia: an approach to Batrachochytrium dendrobatidis surveillance. In: The 11th symposium of the Internation Society for Veterinary Epidemiology and Economics. 11th symposium of the Internation Society for Veterinary Epidemiology and Economics, Cairns, Queensland, (5.2.1-5.2.1). 6 August 2006. Mills P.C. (2006). Group learning to encourage integration and deep learning in veterinary science. In: Federation of Asian Veterinary Associations conference, Auckland, New Zealand, (). 25-27 May, 2006. Mills P.C. (2006). Using Group Project Work towards deep learning, integration and life skills in veterinary science. In: First Year Experience Workshop, The University of Queensland Brisbane, (). May, 2006. Mills, P. C. (2005). Australian perspective of teaching and learning. In: Seoul National University seminar series, Seoul, South Korea, (). October 2005. COX-2 inhibitors: a new drugs really better? Mills, P. C., Chen, Y. and Hills, B. (2005). COX-2 inhibitors: a new drugs really better?. In: Australasian College of Veterinary Scientists Conference, Gold Coast, Australia, (). 30 June - 2 July 2005. Symonds, E. P., Bird, P. S., Hines, H. B., Mills, P. C., Trott, D. J. and Morton, J. M. (2005). Epidemiology of Batrachochytrium dendrobatidis in frog populations in South East Queensland, Australia. In: Research Conference Proceedings 2005. Showcasing Faculty Research through our postgraduates, Gatton, Queensland, (50-50). 8 December, 2005. Mills P.C. (2005). Research-based learning in veterinary science. In: Effective Teaching and Learning Conference 2005, University of Queensland, Australia, (). 3-4 November, 2005. Mills, P.C., Chen, Y. and Hills, B. (2005). Surfactant: new insights into an essential molecule. In: Australian College of Veterinary Scientists Dermatology Chapter Science Week Proceedings 2005: Equine dermatology. Australian College of Veterinary Scientists Conference - Science Week 2005, Gold Coast, Qld, Australia, (). 1-3 July, 2005. Ahlstrom, L. A., Mills, P. C. and Cross, S.E. (2005). Transdermal penetration of corticosteroids in dogs. In: Research Conference Proceedings 2005. Showcasing Faculty research through out postgraduates, Gatton, Queensland, (78-78). 8 December 2005. Mills P. C. and Woodall, P. F. (2004). Enhancing learning in veterinary science students using group projects. In: Gay Crebert, Lynda Davies and Susan Phillips, Proceedings of Effective Teaching and Learning Conference 2004. Effective Teaching and Learning Conference, 2004, Griffith University, Brisbane, Qld, Australia, (). 4-5 November, 2004. Taylor, R. and Mills, P.C. (2004). Learning in Groups - Benchmarking with UQ. In: Teaching and Learning Conference 2004, Sydney, NSW, Australia, (). April, 2004. Mills P.C. (2004). Principles of Transdermal Drug Penetration. In: Australian College of Veterinary Scientists Conference 2004, Gold Coast, Australia, (). July, 2004. Mills, P. C., Magnusson, A.B.M. and Cross, S.E. (2004). The use of microdialysis to provide conclusive evidence of local direct deep tissue and synovial fluid penetration of a topically applied NSAID. In: B.G. Woodcock, 4th International Symposium on Microdialysis. 4th International Symposium on Microdialysis, Austria, (410-410). 18-19 June 2004. Mills, P. C., Dorissi, T., Anissimov, Y. and Roberts, M. S. (1999). Effect of gender and pregnancy on palmitate transport in the isolated perfused rat liver. In: W. C. Hodgson and R. E. Loiacono, Abstracts of the Scientific Meeting of ASCEPT. 33rd Annual Scientific Meeting of ASCEPT, Sydney, (149-149). 4-8 Dec, 1999. Mills, Paul Christian (2006). Using group learning to promote deep learning, life skills and integration in veterinary science MPhil Thesis, School of Veterinary Science, The University of Queensland. Mills, Paul Christian (1993). Aspects of inflammation and its effect upon the clinical pharmacology of phenylbutazone in racing animals PhD Thesis, School of Veterinary Science, The University of Queensland. Development of a transdermal technology to deliver analgesia to cattle undergoing surgical husbandry procedures. Investigation and identification of novel allergens, site of entry and clinical phenotype in the dog - is this canine atopic dermatitis or contact allergy? The Effectiveness of Rehabilitation Post Catastrophic Environmental Events as A Conservation Strategy for Marine Turtles. An investigation into the stranding of Australian sea snakes. Factors affecting the pharmacokinetics and pharmacodynamics of omeprazole in the horse. Surveillance, detection and characterisation of Batrachochytrium dendrobatidis in Mixophyes tadpoles in Southeast Queensland, Australia. Distal limb wound healing in horses: Is there a role for topical compounds? Are Blastocystis species clinically relevant to humans? The effects of environment on the feral horse foot.